Hot cross buns are integral to any Easter celebrations and when it comes to taste there is just nothing like home baking to make a really special bun. Individual ideas may vary in terms of the ingredients that are used and the design that the buns should have, and in the end the finer details obviously come down to personal choice. 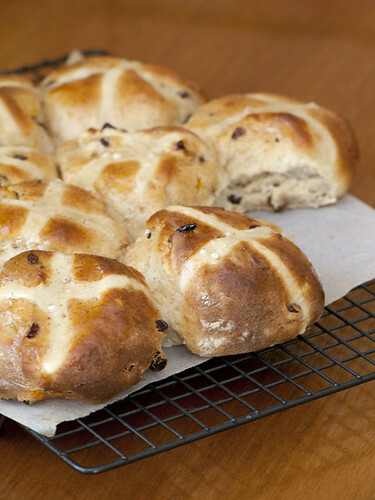 However, here are a few general points to consider if you are looking into making the perfect hot cross buns this Easter. ‘Currants of course!’ I hear you cry, but actually one of the first acknowledged recipes for hot cross buns does not use currants. It is claimed that these annual Easter offerings are the descendants of the humble ‘London bun’ – the distinctive iced white fingers that still remain today. 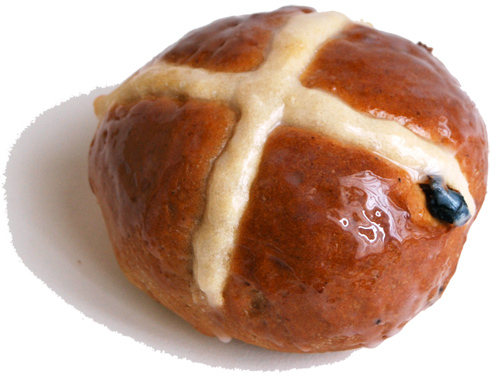 At Easter, the currants in the London bun were replaced with candied peel and beaten eggs were added to the mixture to adapt the buns for Good Friday and give them a golden glow underneath the edible cross. One thing that is certain is that hot cross buns should never contain cranberries, even if you are American. Should hot cross buns be boozy? Given the nature of Good Friday as rather a sad occasion there is probably a strong argument for saying that hot cross buns should contain no booze at all. However, this has not stopped recipes being adapted over the years to include alcoholic ingredients and the most popular of these is stout. The stout is poured in to the mixture at the same time as the flour and yeast and then left overnight. The next morning the spices are added in with the eggs, butter and sugar, creating a distinctive dark and malty bun. How long until it’s proven? How long you leave your dough to ‘prove’ (i.e. allowing it to rise) probably depends on how late you leave it to make the buns this year. 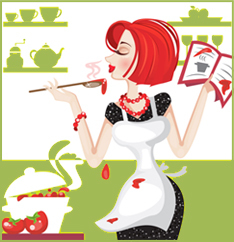 If you manage to get very organized in advance then you can follow Nigella Lawson’s method of leaving the mixture to prove over night for maximum rising time. If not, then most other recipes will recommend around an hour and a half. In theory, the longer the dough is left to prove, the lighter your buns will be. When it comes to the delicate spicing required in the perfect hot cross bun, again this can often come down to a matter of personal taste. Whilst more traditional recipes will limit the spicing to a couple of teaspoons of ‘mixed spice’ – which you can of course buy in a jar – other recipes will have you infusing the milk with everything from cardamom pods to saffron. When making the decision about spicing really it’s quite simple – if you don’t like the taste of cardamom then stick to the mixed spice. Hot cross buns are usually pictured served hot from the oven and oozing with a delicious, thick slab of butter. However, over the years that they have been around, variations have developed on this theme and there are now some pretty wild and wacky ideas for consuming this annual Easter treat. Marmite provides a deliciously salty contrast to the sweetness of the buns, or marmite and peanut butter together is an interesting experience. Again along savoury lines, cream cheese somehow works particularly well with hot cross buns straight from the oven. Alternatively, load yours up with jam and clotted cream for an Easter afternoon tea treat, or for something purely indulgent cover them in chocolate spread. Once you know where you stand on these crucial bun baking issues then making the perfect hot cross buns this Easter is easy. Whether you’re infusing with cardamom or sticking to mixed spice, smothering in peanut butter or eating plain and warm from the oven, it’s always a much more satisfying experience to know you have made the buns yourself. John is a content developer on behalf of Russell Hobbs who enjoys cooking and baking in his spare time. Visit Russell Hobbs for great deals on toasters and coffee machines.